In 2004 retired family doctor Jerome Harvey of Thunder Bay Ontario was looking out his kitchen window at the soon to be closed 250 bed Port Arthur General Hospital. As a brand new state of the art, single hospital was being built with all new equipment, he wondered what was going to happen to all the medical equipment left behind in this hospital as well as the other old hospital to be closed – the 375-bed McKellar hospital. His inquiries led him to discover that because of Thunder Bay’s isolation (500 km to the next nearest large population centre) the cost of removal and shipping made the contents of the two old hospitals valueless. Reluctantly, the hospital administration admitted that most of the equipment would be sold to a scrap dealer for $180 a ton. A few weeks later Dr Harvey found himself in Cuba digging ditches to restore the water system in a Christian Children’s camp. The thought came to him, “I wonder if Cuba could use all that hospital stuff, which included complete operating rooms, x-ray machines and beds. At the same time Dr Harvey met a Cuban doctor, Dr Aurora Riera,who was willing to work as liaison between the Canadians and Cubans. Meeting with Cuban Ministry of Health Officials they assured him that anything MEMO could send would be helpful as Cuba had an adequate supply of well trained doctors but was woefully inadequate in medical equipment and supplies. And thus Medical Equipment Modernization Opportunity (MEMO) was formed under the auspices of the Evangelical Free Church of Canada. 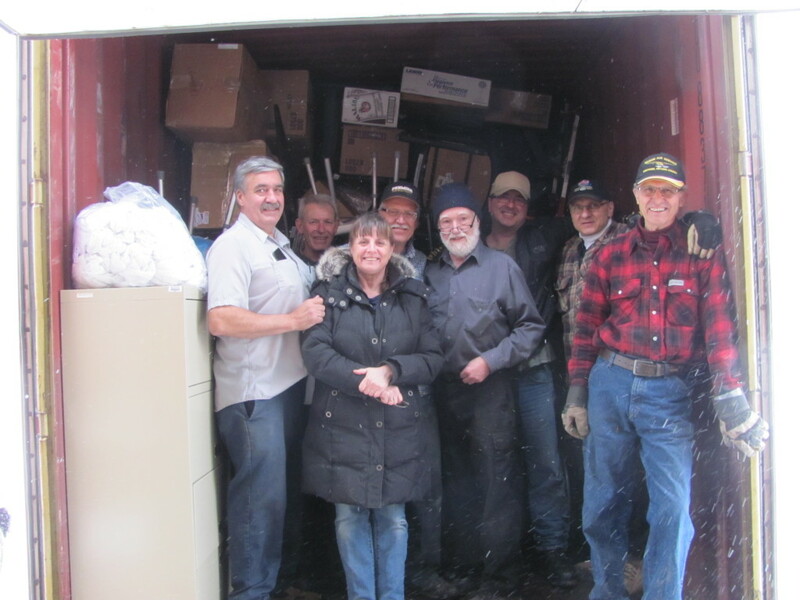 MEMO’s activities centered in Thunder Bay, Ontario, though volunteers and equipment come from across Canada. It was discovered that hospitals replace about 10% of their equipment every year. MEMO became an ongoing project. Over the next 9 years MEMO would ship 49 ocean containers of life saving and life enhancing supplies. Shipments have included 8 xray machines, a computerized xray machine used for planning cancer therapy, 300 beds, 2 vehicles including a 2 stretcher ambulance all the way down to simple but necessary 9 tons of hospital linens among much else. One of the distinctive differences of MEMO from similar organizations in Canada is that we have always insisted in providing medical/surgical/technical teams going to the site of donation to insure appropriate use of the new technology. To date MEMO has facilitated 26 self supporting teams of Canadians working with Cuban specialists for installation and operation. This has included teams that have instituted laproscopic abdominal and knee surgery,minimal access prostate surgery and the only breast cancer screening facility in the country. Another distinctive of MEMO’s help is that we pay all shipping costs, relieving recipient organizations of often deterrent and crushing financial burdens. 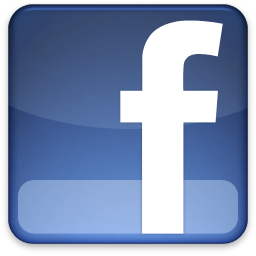 MEMO in spite of active solicitation receives no government or corporate funding. The over $500,000 for shipping has come solely from generous Canadians. In the spring of 2013 MEMO received a call from a Christian Community Clinic in El Salvador where 40% of people can afford no medical care. 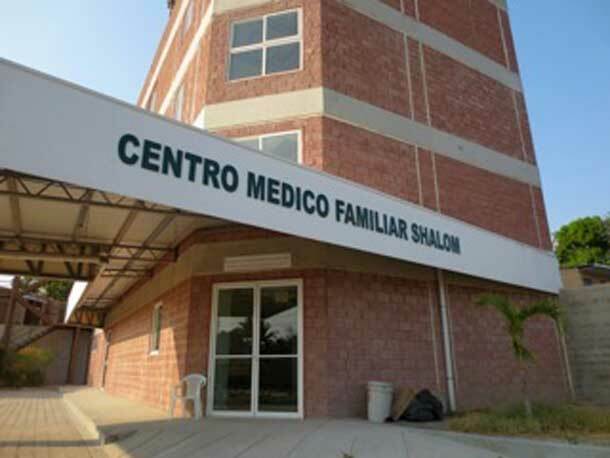 The Shalom Clinic located in the gang ravaged community of Texacuangos had been built by a missionary organization called Harvesting in Spanish. They ran out of money building this 40 room clinic and needed help in equipping it. This is what MEMO does. 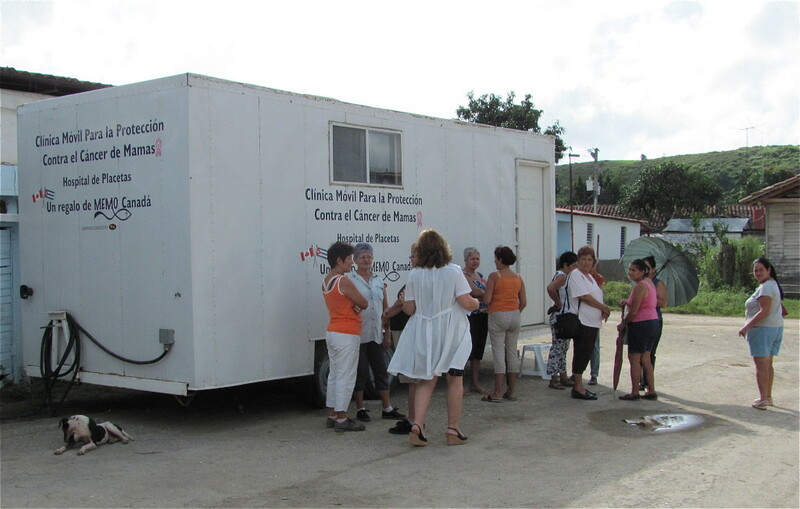 Since the spring of 2012 we have sent a number of containers to El Salvador containing all the furnishings, clinical laboratory, digital x-ray machine,fixed and mobile breast screening machines, a two-chair dental suite, and a large fully equipped ambulance. 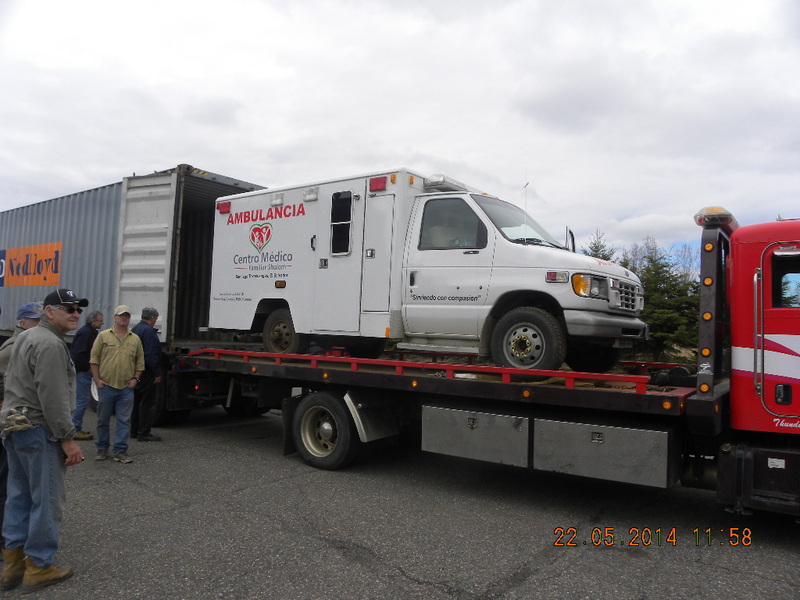 MEMO has already provided a Spanish Speaking couple from Thunder Bay to aid in administrative and nursing tasks. 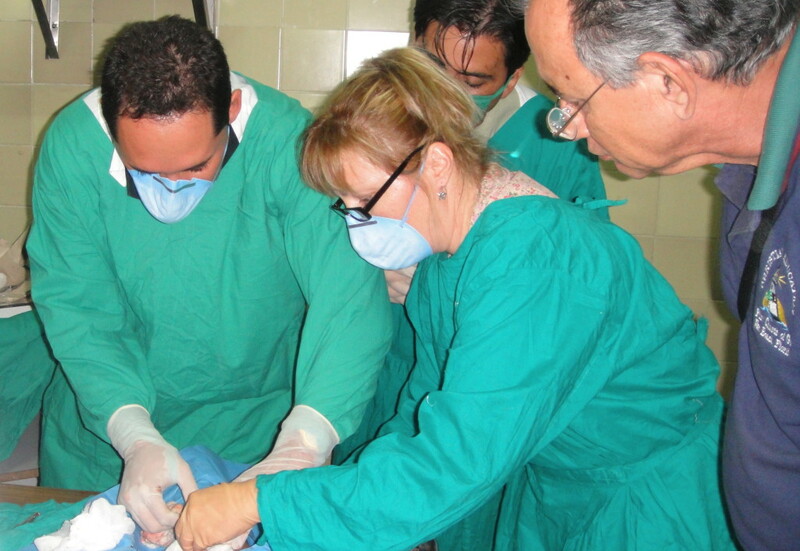 Three Canadian short term MEMO teams have been to El Salvador. Their tasks at the clinic have included installing equipment for doctors examining rooms, an emergency trauma room, central supply department, clinical laboratory and pharmacy. In the coming year (2015), teams for training paramedics for the ambulance, installing the digital x-ray machine, setting up the dental suites, and instituting a mobile breast screening program are in the planning stages.